The wines of the Tuscan coast today are as famous as much sought after. For the classic Tuscan Sangiovese grape, the climate here is all but optimal but it soon proved that for Bordeaux varietals the coast offered just perfect conditions. Within a few years it was possible to produce world class wines on the basis of Cabernet Sauvignon, Cabernet Franc, Merlot and Petit Verdot. 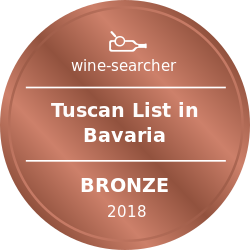 The nucleus for this incredible development was the little village of Bolgheri close to Castagneto Carducci with the creation of the famous Sassicaia wine that became commercial in 1968. After the hype around the Sassicaia vintage 1985 which was credited 100 points new winery projects were booming and interest later spread also to regions close by like Suvereto and Bibbona. Lodovico Antinori was one of the first protagonists of this dynamic boom in Bolgheri. 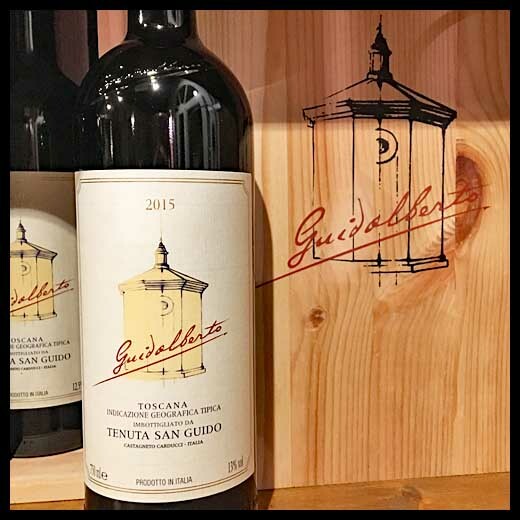 Returning to Italy from the US in the early 1980s he decided to start his own wine project in Bolgheri founding Tenuta dell'Ornellaia on family land. He planted Bordeaux varietals after a deliberate analysis of soil and micro climate and applied latest knowledge in vineyards and cellar seen in Napa Valley with the clear vision to produce a world class wine. Success came literally over night with especially US consumers easily falling in love with the Italian wine that spoke their language. The Ornellaia vintage 1998 was selected as „wine of the year“ by Wine Spectator. 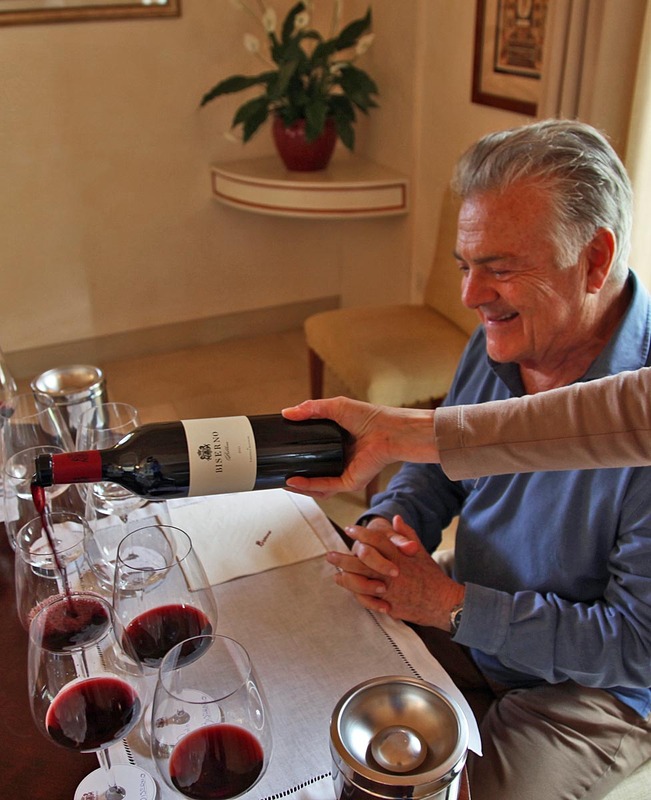 „The wine growing conditions in Bolgheri were so optimal, it wasn’t difficult to make an excellent wine at that time“, Lodovico Antinori resumes. In the early 2000s Ornellaia was affected by the economic problems of joint venture partner Robert Mondavi, which finally brought Lodovico Antinori to the point to sell his remaining shares of Ornellaia. A big mistake, as he says from todays perspective. With a lot of enthusiasm Lodovico Antinori presents his latest winery project: Tenuta di Biserno. But giving up is not in the genes of this dynamic and restless man. 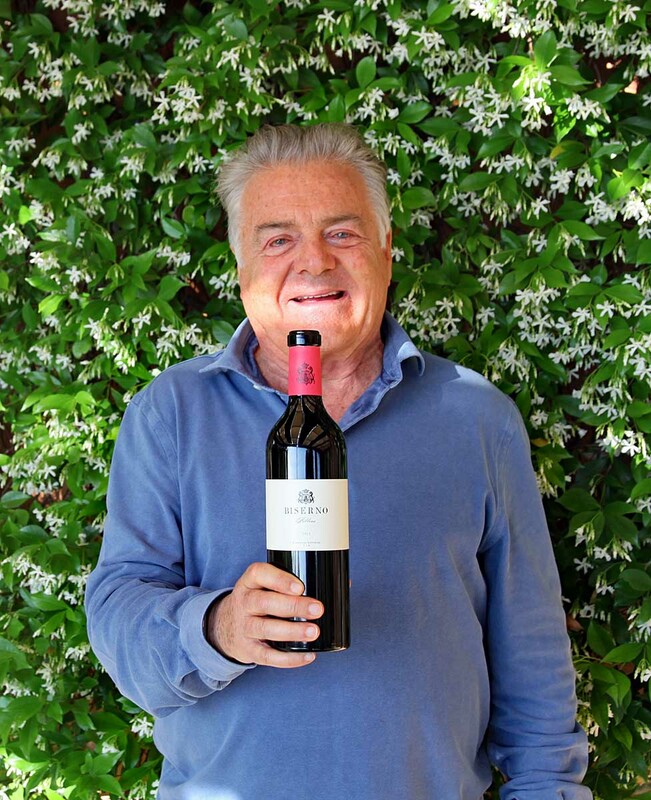 Already some time before the sale of the remaining shares of Ornellaia Lodovico Antinori was able to sign a long term lease agreement for two farms in Bibbona, just next to his „Ornellaia Bellaria Vineyard“ which is still within the Bolgheri appellation. One farm up in the hills was called „Biserno“, the other in the plains „Campo di Sasso“. Again Lodovico Antinori used the best available expertise to analyze the soils and micro climate. Especially Biserno showed a lot of similarities to the adjacent Bolgheri appellation. The only disadvantage of the leased land was, it didn’t belong to the famous Bolgheri appellation and until today all applications to be included were rejected. Biserno comprises 45 ha of vineyards, Campo di Sasso adds 25 ha. While the soil of Campo di Sasso is sandier and planted with a good share of Syrah, Biserno is characterized by volcanic soils with mineral rich, heavy and rocky subsoils like the best terroir in Bolgheri. All analysis showed that this is just perfect terroir for Cabernet Franc and today Cabernet Franc is the essence of Biserno. Between 2002 and 2004 Merlot, Cabernet Sauvignon, Cabernet Franc and Petit Verdot have been planted. For some time Lodovico Antinori planed a state of the art winery on the property but until today Biserno is just a guest house for events, tastings and also a few rooms to rent. All buildings and facilities have been renovated carefully and to the highest luxury standards. Vinification, barrel cellar and filling are done in an industrial building in the little town of La California. It’s worth noting that Lodovico Antinori shares the Biserno project with his brother Piero Antinori. The "Biserno" is the flagship wine of the Tenuta on the basis of Cabernet Franc. While Tenuta dell’Ornellaia was all about Cabernet Sauvignon and Merlot (the famous Masseto is 100% Merlot) Biserno is the purest expression of Cabernet Franc, „the essence of Biserno“ says Lodovico Antinori. While Merlot is less responsive to the terroir, Cabernet Franc is distinctive. It brings opulence and balance into the wine whereas the high alcohol levels are unnoticeable due to the high acid levels in Bolgheri wines. It’s interesting that quite a few Bolgheri wine producers are reducing their Merlot shares in the blend today. The certainly most famous wine in Bolgheri (and Italy), Sassicaia, never had Merlot in its blend, it was always 85% Cabernet Sauvignon and 15% Cabernet Franc. The first vintage of the Biserno wine (Il Pino is the 2nd wine) was 2006. „It’s unbelievable“, says Lodovico Antinori, „there is no other top wine region in the world where young vines can produce such great wines being still so young“. And the wines are not only very good from the start, they are also aging extremely well. It is this weak point of the Bolgheri wines that, being a very young appellation, is so hard to object: the age worthiness and longevity of the wines. Today, after maturing times in the bottle of more than 10 or 20 years it becomes easier to validate the argument. So is was Lodovico Antinori’s proposal and noticeable delight to present a deep vertical of the Biserno wine to us to see and taste how his wines mature. Beginning with the 2007 vintage all vintages were offered until 2016 except 2008 and 2012. It was a rare and exclusive opportunity to get a deep insight into the DNA of this amazing wine project. Vintage 2015 has been bottled but not labelled yet. But the wine is really performing outstanding already. All wines were decanted and filled back in bottle. Vintage 2015 was bottled already but not labelled yet (to be released in September 2018). 2016 was a barrel sample that represented the final blend. All wines had been poured into the glasses before the start of the tasting and been tasted in the order of our notes in this review. All wines had been revisited several times to follow the development in the glass. Thanks to Ivona and Lodovico for the extremely professional setup and preparation. After the first vintage 2006 this wine represented only the 2nd vintage produced. It was extremely exciting to see how the wine showed after 10 years in bottle. The wine was lying deep in the glass and pretty much closed. The color was deep opaque violet with some sediment. Very fine aromas of black berries, plums and coffee. On the palate very elegant, despite 15% alcohol almost sleek. Lacking a bit of pressure in the mid-palate. 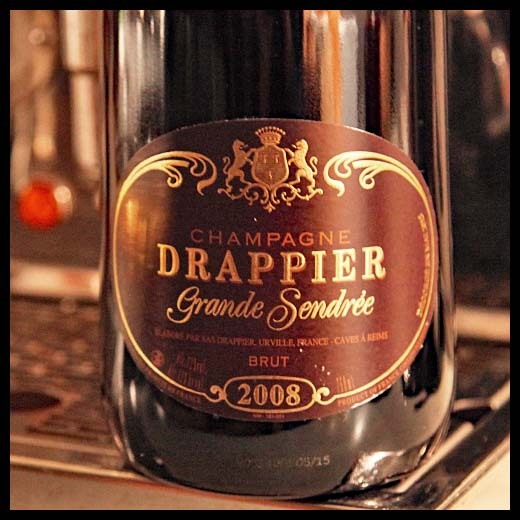 Dramatic finish with super delicious sweet fruit and seductive chocolate aromas that get even more and more intense. The finish is endless and doesn’t stop to beguile. Seems like the wine had been roused too early and easily needs many more years to mature. Enormous potential but will take time. 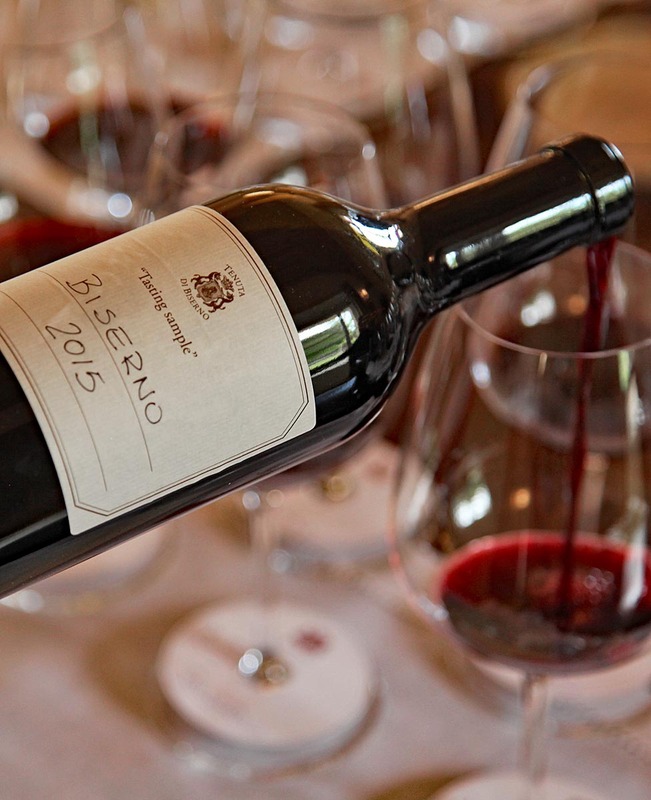 2009 was a classic hot vintage in Bolgheri and the Biserno 2009 reflects this with precision. Opulent ripe fruit, raspberry and blackberry with massive density. 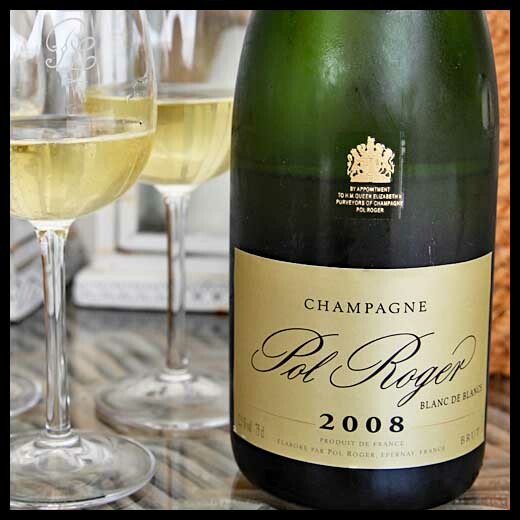 The concentrated texture laminates the palate with power and sweetness. No weakness on the way to the beautiful finish. A super hedonistic wine that is at its peak now. This is not the wine for finesse lovers. Will be very exciting to see if the wine will loose fat in the coming years. If yes, there is clear upward potential. 2010 is the exact opposite of 2009. In many parts of Italy, a vintage of the century, especially in Piemont and the central parts of Tuscany with Chianti and Brunello. On the Tuscan coast 2010 was also very good but not outstanding. 2010 was a rather cool vintage but with lots of sunshine and good conditions for harvesting ripe grapes. The 2010 Biserno seems to be a little shy, closed and little expressive in the glass, is not willing to unveil its potential right now. The tannins are beautifully integrated, indicative for its great elegance and harmony. It didn’t take less than two hours when things changed and the wine started to open up. There is no doubt that the cool vintage characteristics are very favorable for Biserno wines. In some years this will be a fantastic wine. 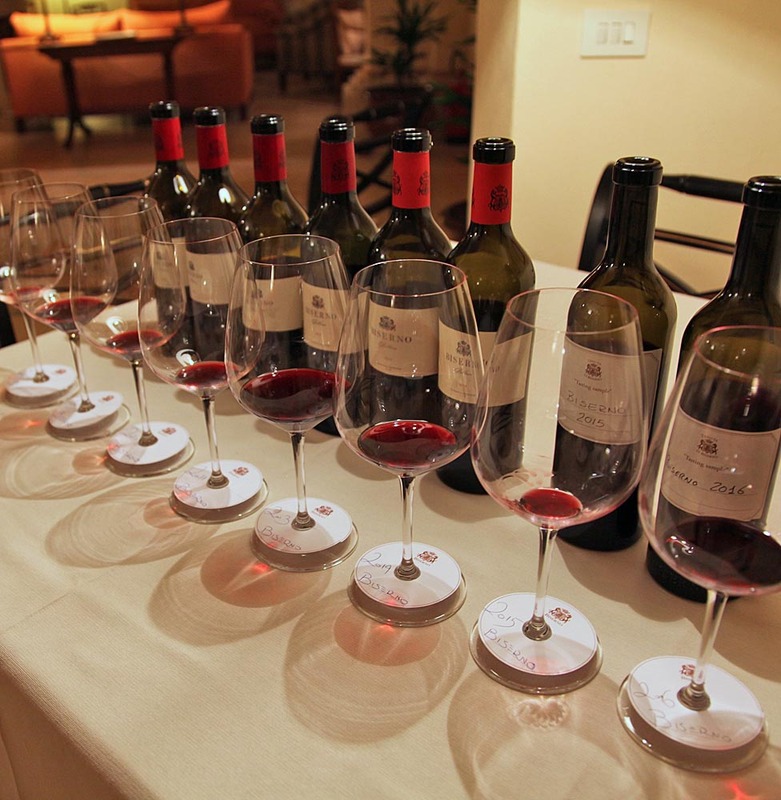 2011 was a beautiful vintage in the Maremma with very aromatic and expressive wines. The Biserno shows a crazy nose of pure chocolate and ripe Amarena cherries. On the palate a super soft and round wine with intense power and a fine, delicate acidity. Only the finish does not quite keep to the promise, it misses length and complexity. Difficult to predict the future potential. 2013 was one of the finest vintages in all Italy with wines that seduce with dense and super delicate aromatics. You can hardly go wrong buying a 2013 Italian wine and of course this is also true for Bolgheri and all the Tuscan coast. The vines of Biserno are now 10 years old and start to show their full potential. The Biserno is deep red colored with violet reflections. For the first time we could taste the Cabernet Franc taking the lead with its enormous opulence and amazing balance at the same time. The perfectly integrated spiciness makes the high alcohol level disappear. This is a stunning Biserno with power, sweet fruit and irresistible chocolate aromas like cacao powder that had been scattered over the wine. Spectacular finish with stunning length ever repeating aromas of fruit and chocolate. Absolutely outstanding wine. In between two extraordinary vintages, 2014 finds its place as a pretty weak vintage. The weather was too wet and there was a significant lack of sunshine. Yes, this is possible in Italy and even in Tuscany. As a consequence, there are producers that decided not to bottle a Superiore wine in 2014. Some who filled it made a disputable decision. Still there are some pretty good wines, but not really great. Biserno decided to fill a small quantity of 6.000 bottles, just what was left at the end of the sorting table. And the result is all but bad. A spicy nose introduces a dominating acidity. On the palate the wine shows a surprising roundness, a lovely texture and an unbelievable fine fruit. Yes, it lacks persistence, lacks complexity and a long aftertaste. A good 2014 though but you can live on without having it in your cellar. The title of „world wine vintage“ is well deserved in 2015. There is hardly any classic wine region where 2015 was not a vintage of the century. And in the Maremma it should definitely rival 2013 for the best vintage in decades. The 2015 Biserno is simply a smashing success. Red and black berries, skyscraper chocolate aromas meet extraordinary elegance, finesse and harmony. It is this extra elegance and harmony, sleeker style that sets it apart of the fantastic 2013. Everything melts together to a piece of super delicate art. This is a big, big wine from nose to finish. Endless future potential. And it’s not over yet. After 2015 there is the next stunning vintage 2016. Like the twin vintages 2009 / 2010 the 2016 vintage is cooler with a very long vegetation period at perfectly dry and sunny weather conditions. The striking result are wines of enormous transparency and pureness of fruit, tannins and acidity. We tasted a barrel sample of this young wine that already showed a bright purple color. The fruit is super delicate and precise. The sleek wine from perfectly ripe grapes and a very high level of tannins and acidity will give it almost eternal life. This is the best finesse drinkers can choose from Biserno. Like in 2010 this cool vintage brings the best out of Biserno as it is so favorable for this terroir. Amazing wine. 8 out of the past 10 vintages Biserno. And all are extraordinary wines. This concludes a really outstanding vertical tasting with wines precisely reflecting the vintage characteristics. It underpins the relevance of the terroir for Cabernet Franc and the enormous bottle aging capacity and longevity of Biserno wines. No wine shows any evidence of over extraction nor does the fruit fall apart. The opposite is true here. The vinification is performed as gently as possible to control opulence and phenolic backbone in order to keep harmony and balance at a maximum of fruit and power. A distinct but delicate spiciness counteracts and makes you forget the wine’s weight, alcohol and density. All wines express a black fruit characteristic complemented by cherries, plums and again and again finest dark chocolate. There will be a lot of good things still to be heard from Biserno in the future. Trocken und bis Mitte August sehr warm mit gelegentlichem Regen zur rechten Zeit, das sind die Zutaten für einen weiteren großen Bolgheri-Jahrgang. Schon der Guidalberto mit seinen 40% Merlot lässt erahnen, was die Sassicaia-Liebhaber für diesen Jahrgang zu erwarten haben. Der Guidalberto 2015 präsentiert sich als samtweicher Finessewein mit verführerischer, dezenter Fruchtsüße. Er verträgt aber sicher noch einige Zeit der Flaschenreife. Ein großer Guidalberto Jahrgang!